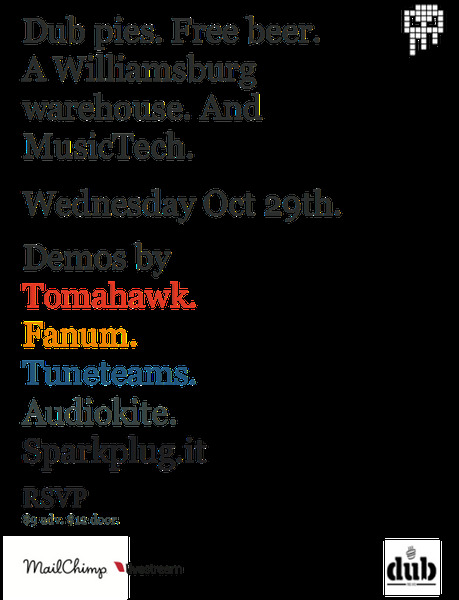 I’m very please to announce that Sparkplug will be giving a demo of our site at the NY Music Tech Meet Up on November 5th. Unfortunately, I wasn’t able to make SF Music Tech Summit this year. Last year I thought the panels were excellent, and I met some great people. Lucky for those of us who didn’t make it this year, the panels are online and available for streaming via Soundcloud. I’m just starting to get through them so let me know which ones are your favorites!